Nadwa Al-Dawsari is a Yemeni researcher and a conflict management practitioner with over 17 years of field experience in Yemen. Between 2003-2009, she worked with the National Democratic Institute (NDI) in Yemen managing elections monitoring and tribal conflicts programs. 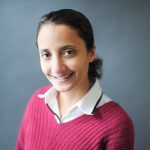 From 2009 to 2012, she founded and was the Director of Partners Yemen, an organization that focused on strengthening community-based conflict resolution mechanisms and local civil society. Since 2008, she conducted extensive field research focusing mainly on security, justice, governance, and political transition in Yemen from a community perspective thus providing deeper insights into the internal dynamics of the conflict in the country. Her writings were featured by Carnegie Endowment for International Peace, USIP, Atlantic Council, Middle East Institute, Oxfam, Lawfare, Project on Middle East Democracy (POMED), CIVIC, among others. She is member of the Institute of Inclusive Security’s Women Waging Peace Network. She holds a Masters in Development Studies from the University of Leeds.